Events in Serbia for 2016. The Governmental Beekeeping Fair has been scheduled as a beekeeping review. 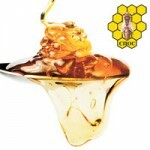 The practicing beekeepers and the beekeeping equipment manufacturers feature their accomplishments. All equipment and production materials within this branch are sold at the Fair under the best prices and conditions. Since hotel management and catering are the tourism industry driving force, no wonder that the International Fair of the Hotel and Catering Equipment – HORECA is held at the same time as the International Tourism Fair and Wine Fair. Wine tourism is promoted intensively at the Wine Fair, as well and holding this vent at the same time as the Tourism Fair, the most attractive and one of the best visited fair events, clearly shows the importance of this event also in the tourism branch. The Textile Fair will feature this year 53 companies from Turkey, China, Portugal and Serbia. This is a business event gathering textile manufacturers, importers and traders. Beside the best textiles, the exhibitors at the Fair will show also the best machines and equipment within the textile sector. The International Exhibition of All Breed Dogs – CACIB Belgrade takes place twice a year, at Belgrade Fair, organized by the Cynology Association of the Republic of Serbia. In spring, it marks the beginning of the cynology season in our country and in autumn its end. An exhibiting/selling event – car show under the title DDOR BG Car Show includes all importers and wholesalers of passenger cars. 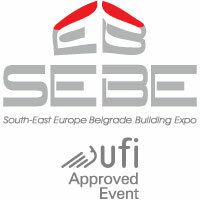 Complete offer of the leading worldwide car manufacturers to the local audience and prospect buyers is presented through unique scenery, with standard exhibiting spaces, furnished by Belgrade Fair. A specialized fair event, including manufacturers and importers of motorcycles, mopeds, scooters, ATV, related industry, spare parts and equipment. In addition to this, this event affirms and promotes motorcycle racing. 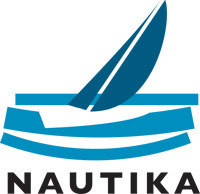 Specialized fair event for all types of ships, hunting, fishing, water sport and diving equipment. The Horticulture and Nature Gifts event is a specific event, including exhibitors from various branches and it is a connection of healthy living, natural environment and natural resource use. The international Building Trade Fair, like most Belgrade Fair events, came from the Technical Fair – a unique “Mother of Fairs”. 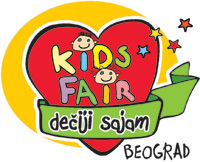 The CHILDREN’S FAIR will feature the exhibitors presenting products and services related to the regular growing and development of children and babies: garments, shoewear, food, toys, children’s cosmetics, furniture; the services related to children education, money savings, insurance; publishing activity, creative workshops, dance, acting, rhythm. After large fair events – Las Vegas, London… recognizing the growing market, the gaming industry enables you to meet and , of course, provide for yourself the equipment, software support and the related services. International Trade Fair of Packaging Materials, Machinery and Food Processing Equipment. International Graphic, Paper and Creative Industry Fair, the popular Grafima, has been presenting for many decades the achievements in these expansive economic branches. At the same time, it presents also the achievements of machine industry, sophisticated advanced technology, special purpose IT, designer hardware and software, creative / artistic graphic genres. Office equipment, machines and stationery, office furniture and accessories, business goods and gifts, decoration and photo product range are unavoidable section of the International IT and Office Equipment Fair. 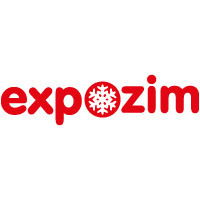 The event became the most important market in the region, the venue of promotion and sales of the state-of-the-art equipment and materials necessary for office fitting and operation, business goods and advertising gifts. Emergency management. Fire fighting. Fire Preventive – Structural Fire Protection. Rescue management. Flood, earthquake, chemical accidents management. Preventive. Occupational safety and health care. Medical care in emergency situations – disaster relief. Critical Data Protection/Recovery. International Energy Fair (with UFI license) is the largest annual regional get together of companies, corporations, enterprises, institutions and professionals dealing with electric power, coal, oil and gas, renewable energy sources, energy efficiency and mining. 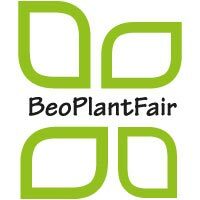 International Fair of Environment and Natural Resources Protection – EcoFair is the largest and the most representative get together of this type in the region. It has got the economic / educational character and it is devoted to the environment protection systems and mechanisms. The central topics are Green Economy, recycling industry and waste management. International exhibition of dental, medical and laboratory equipment and instruments, pharmaceutical and other equipment and medical services.The Accompanying Programme features up-to-date scientific and expert issues in different fields of dentistry, medicine and laboratory diagnostics. In the cultural events calendar of Southeast Europe, the central position end of October has been taken for many decades by the International Belgrade Book Fair. This regional largest event devoted to the book carries out promotion of literary creation and education, cultural exchange with foreign countries and the current literary and social matters launching. 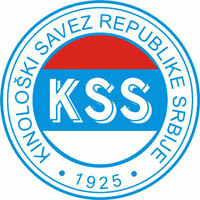 „Educated Serbia, Successful Serbia” is the slogan of the Education and Teaching Tools Fair. In addition to learning promotion as life long process and showing the importance of schooling and professional training, the exhibiting range includes anything necessary for the educational institution equipping and work – from the preschool to high education ones. Information, Communication and Marketing Fair. 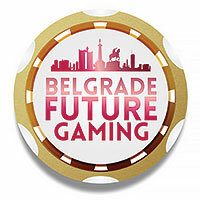 Beside media presentation, it enables also their direct meeting with numerous publics, since this event is actually a part of the traditional International Belgrade Book Fair. Of course, this is not coincidence – these events audience “is overlapping”, since both of them are important for culture and arts, but also general information and daily living. 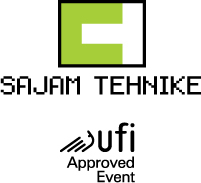 International Furniture Fair in Belgrade (UFI member) is the most important fair event within furniture, interior decoration and the related industry of production materials and furniture industry machinery in the Southeast Europe region. Woodworking Machines and Tools: the previous Fair section grew into a separate fair event with a great offer portfolio. Fine wine presentation. All kinds of food, food processing equipment, machines for ready-made food, packing, wrapping and transport. A unique opportunity for the winter sport and tourism fans to find at one place the complete state-of-the-art sport / recreation equipment, exchange or repair the used one and get cost effective travel packages. Games.Con idea is to bring together in one place tournaments in the most popular games, online and e – gaming, board and card gaming, as well as exhibitions of comics fandom and fantasy franchise. The New Year´s Fair, event of fun and good shopping, is traditionally organized at the end of each year by the Belgrade fair – Winter Fun Fest!